I am so lucky to be able to work around the world - and one of my favorite design destinations is in the Bahamas! I’ve recently been working with clients on Eleuthera, which is a gorgeous island known for pink sand beaches like French Leave Beach. It is incredible to have fabulous views wherever you look while you’re designing - there’s no better inspiration! If you’ve been following me on Instagram, you’ve seen how obsessed I’ve become with island architecture. There are specific details about the design that I love - let’s take a look! 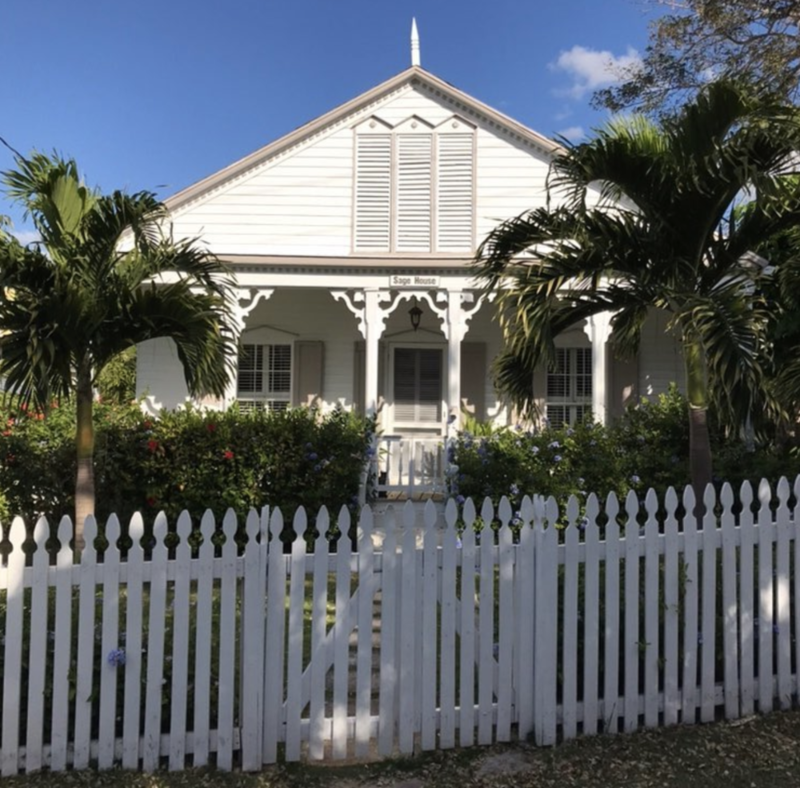 Traditional Colonial homes in the islands showcase a lot of gingerbread trim! I love the scrolls and pierced pieces that you see on these fabulous cottages - it gives them a one-of-a-kind look! And how charming is it with that white picket fence, too?! Sage House is one of my favorite gems on the island! So many houses today have shutters that are just decorative and don’t actually cover the windows. 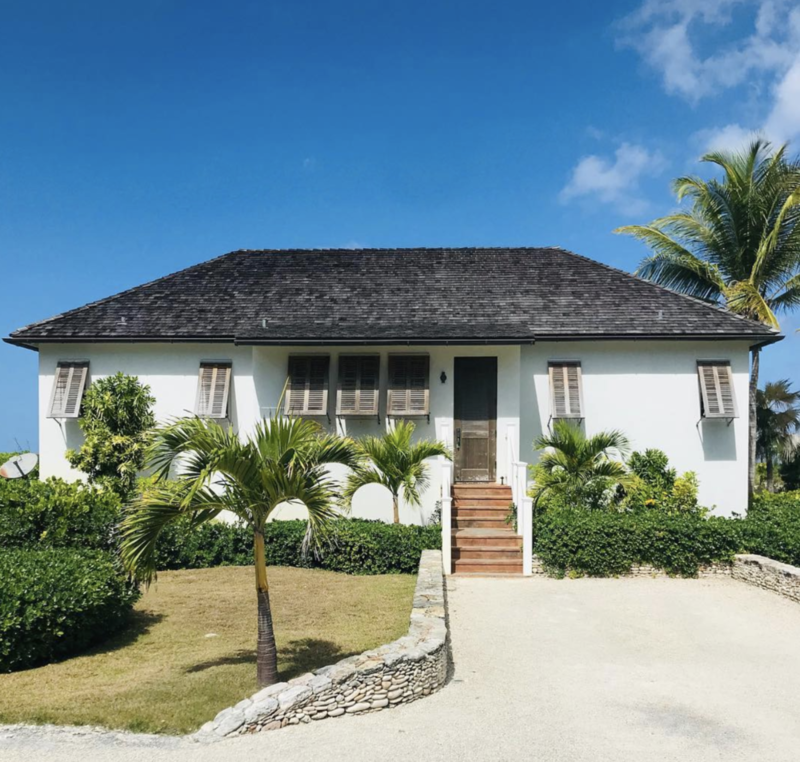 In the islands, working shutters are a necessity! And I love the character that they create as a design detail, too! Shutters can either open out in a traditional way, or by opening from the bottom like in the cottage above. I’m also in love with the stone wall and that cedar shake roof! The homes in the Bahamas are known around the world for their use of colour, so of course I would feel at home here! The pastels are breathtaking, like the peach dream above that was my “office” recently. But you’ll also see bright spots of color that grab your attention - even on churches! The porches and verandas are designed for outdoor living - after all, it’s why we’re in the islands!! I’m drawn to these fabulous outdoor destinations, surrounded by an incredible array of plants, flowers, and palms! See why I love the island architecture?? 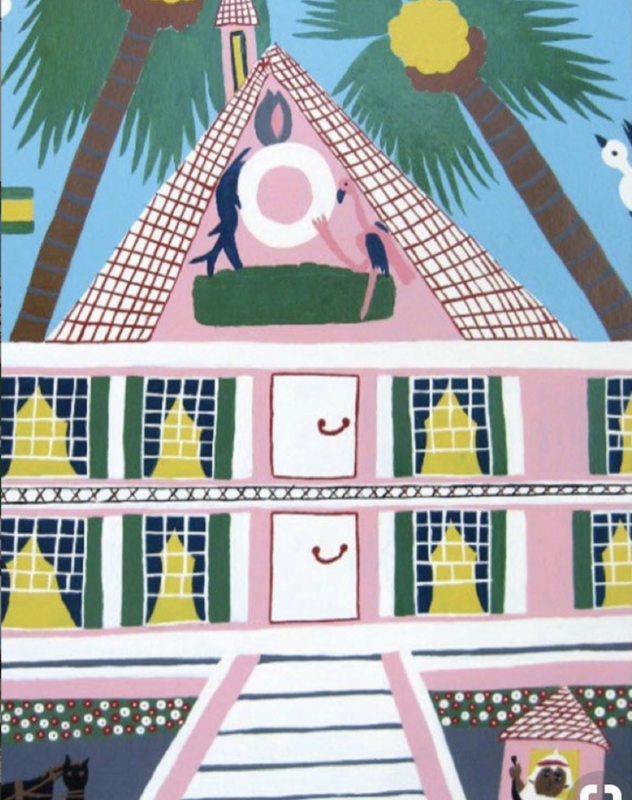 It’s such an iconic look in the Bahamas that it’s even featured in a painting I recently saw by celebrated Bahamas artist Amos Ferguson. I am fortunate enough to have learned about this brilliant man when I saw two of his original paintings hanging on a client’s wall. And I had to show you the gorgeous St. Andrew’s Church in Wemyss settlement! All the Anglican churches on the island are painted white and red. And there are A LOT of churches for 3000 people! How incredible is that colour?! With a gorgeous island office like this, I may not head back to Toronto until summer!